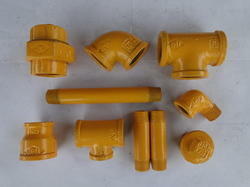 The MCI Pipe Fittings as per IS:1879:2010 and are marked with "ISI" Mark, Power Coating : as per Spefications. Power Coating : as per specifications. Looking for Power Coated Pipe Fittings for Gas Applications ?